The main purpose of the Solar PV Induction cooker/Chulha is a solar-powered Induction Stove / chulha suitable for all types of domestic cooking processes – Boiling, Frying and Griddling (chapatti making), with a daily cooking time of 3-4 hours per day on a full charge. 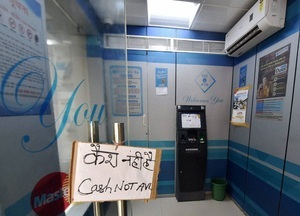 There are over two lakh Automated Teller Machines (ATMs) owned by various banks in India. Increasing digitization and financial inclusion, demand setting up of ATMs in each nook and corner of the country. To banks ATMs are cost centres, involving high upfront investment and recurring costs. 24*7 ATM cooling & lighting energy bills are a major operating cost. The use of energy efficient appliances can bring down electricity bills and ATM operating costs.